Why Hire Hatch for Hardie? Historic houses have ample charm and, for some homeowners, they are the only kinds of homes they can imagine living in. New constructions simply aren’t right for some people. The only problem with this is that many individuals who fall in love with very traditional, historic residences are not traditional people. If this sounds like you, read on. 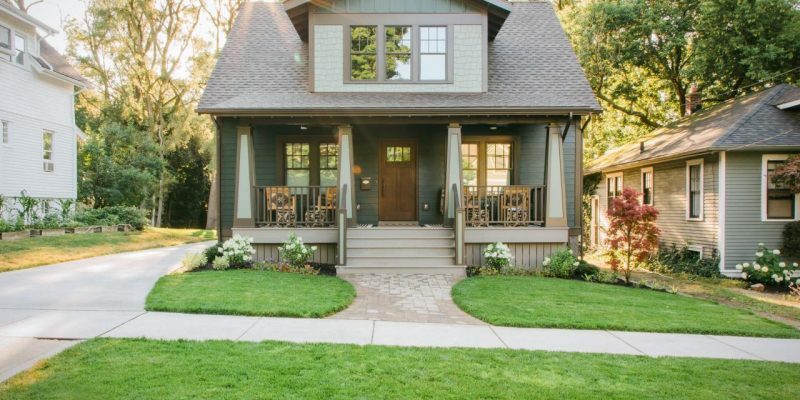 In this guide, you’ll learn how to use color to transform the exterior of your historic home into a contemporary haven, without sacrificing the original features you love about it. Throughout North Carolina and South Carolina, we serve plenty of clients who live in old houses and want nothing more than to modernize them to suit their quirky, artistic tastes. This guide is for all of you. Black – If you want your Victorian or Queen Anne style home to really make a statement, consider painting it black. Edgy and offbeat, black can be dramatic and contemporary, rather than scary. Work with a designer to add glam touches, such as gold hardware and a bold door. White – Going the opposite direction, an all-white historic home is also sure to look modern. In fact, glossy white is one of the most contemporary colors you can choose for a historic home. Make sure you leave all the detailing intact if you choose this hue. It will add much-needed texture and visual interest to what could otherwise appear to be a blank canvas. Grey – As you might have guessed by now, neutral shades can look surprisingly modern on historic houses. One of the perks of grey is that it comes in a huge array of hues, so you can select something that perfectly suits the vision you have for your home. You might even want to use multiple greys to add dimension to your exterior walls. Multi-color – Multiple bold paint colors work especially well on Victorian-era homes that feature lots of gingerbread detailing. If you are considering this look and need inspiration, search for pictures of homes in San Francisco, where this aesthetic abounds. It is a good idea to work with a decorator who can help you select a color palette that works well together. Remember, you can go as subtle or as bold as you choose; anything from cream and periwinkle to bright purple and lime can work on a multi-color historic house. A bright door – In some cases, whether it is due to neighborhood association restrictions or structural factors, such as not wanting to paint over original brick or stone, homeowners are limited in what they can do to alter the appearances of their homes. If this is the situation you’re in, consider updating your entry door to feature a bright, bold shade. This will do wonders to modernize your exterior without making any major changes. Bright yellow, aqua, and orange are all excellent color options. The team at Hatch Homes is passionate about historical renovations, and we would love to work with you to bring your house into the 21st century without abandoning its roots along the way. Contact our office today to schedule a consultation with one of our expert team members.